Sorry, what does this mean? Mind if I ask what parameters you used for Anduril? I wonder, because I’ve decided that’s what I want to flash onto the H03 drivers you’ve sent me. So I’m assuming that’s a good starting point? Does anyone know if this still holds true? Sorry, I know Anduril isn’t your thing and you’re just getting started in it. I just love this UI so stinking much I flashed all my compatible lights over to it already. If you can wait until tomorrow, I can send you my Anduril config for the H03. In general, the ramping levels are from the FW3A while the button light things are from the D4S. Oh man that would be great! That makes sense. I can definitely wait, tracking says they should be here in a day or two. Can you send me the hex too? Atmel studio has been giving me fits, and I haven’t gotten around to setting up an ubuntu environment, so just dropping the hex in there is ideal until I get around to customizing things. I don’t know much about anything, but the AMC is probably the 7135 current regulator. I think Lexel is saying that if you use a 1/255 on the AMC 7135 channel the current will be too low and the led will not light up. So lowest he uses for the AMC is either 2 or 3. Can you send me the hex too? Atmel studio has been giving me fits, and I haven't gotten around to setting up an ubuntu environment, so just dropping the hex in there is ideal until I get around to customizing things. Thank you! Structure is the same as stock Anduril, so if you want to get newer code from ToyKeepers repository,you can merge it. No grantee for correctness, it just creates a hex file. So now, if you want a lighted button and stepped ramping, you would need to search what else to disable to save the missing 52 bytes of flash. Looks like the time has come to tweak your 4S Q8 buck driver now that Sofirn has made this Q8 battery carrier extension. XHP35’s here we come? Can you send me the hex too? Atmel studio has been giving me fits, and I haven’t gotten around to setting up an ubuntu environment, so just dropping the hex in there is ideal until I get around to customizing things. Thank you! Thank you very much! Everyone is so helpful here. I can’t wait for them stinking drivers to get here! I did not realize that the numerical levels come off the AMCs, other than one/all7135. Is that so? I really dont know, I’m just translating for Lexel. I think he’s saying that on a FET only driver (1 channel) you have a huge range of brightness levels from many amps down to milliamps and you can use that step 1 of 255 and the led will light up just fine. In fact it may not get dim enough for a true moonlight. On a 2 channel driver which is using a single AMC 7135 chip the range of amperage is much smaller. Max is only 350 miliamps and if you use 1 of 255 the output is so low the led might not light up. Okay, I think I understand some of it. There are a total of 255 different combinations of ones and zeros. Each of these “steps” represents an amperage and brightness level for that channel. So the MOFFET’S you use typically cycle on and off 20,000 times per second. So 20,000 units into 1 second = 50 microseconds. 50 microseconds divided by 255 steps gives you an even smaller 200 nanoseconds. I don’t understand beyond this. I’ll have to think about it and PWM later. So I think my earlier translation was right. With only one AMC 7135 and 350mA if we divide this up into 255 sections, the lowest (a 1 out of 255) is not likely to light up the led. Lexel seems to usually only go down to 2 or 3 out of 255 to get that very dim moonlight. @Level: For the Q8 4P linear driver: Is it possible to buy the driver with a soldered brass ring or does that need to be harvested off an existing driver? 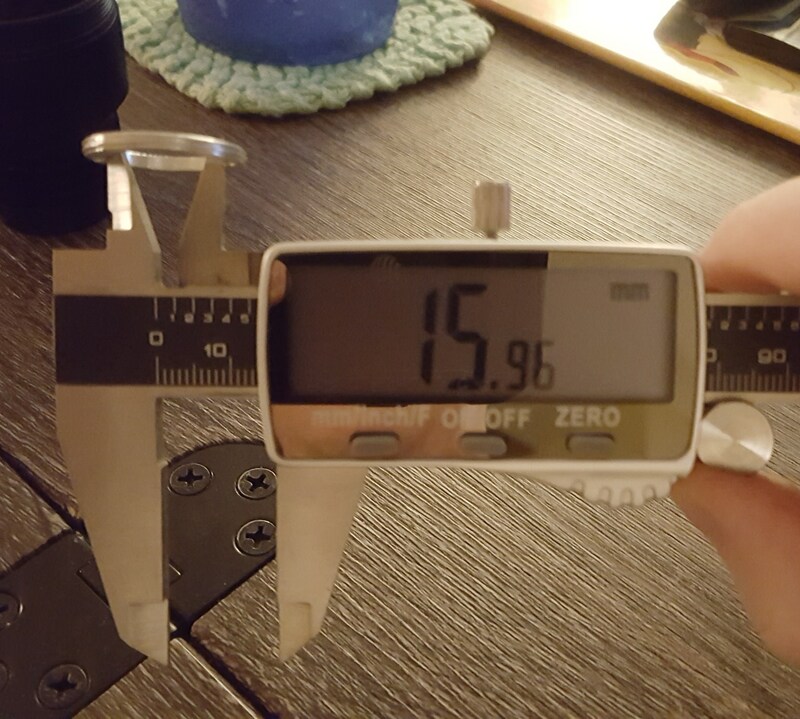 Your asking about a linear driver? He is probably asking about the FET+7135+16×7135 driver, not for a pure linear driver. Or maybe he has 219Bs and wants to driver them in a regular manner. I was going to say you could buy the factory driver for like 10 bucks that’s ready to go, but I’m not sure if Lexel is making some kind of special linear driver. Any of Lexels aftermarket drivers do require swapping the brass ring over. Lexel, please work your magic when you have time. “programm enable: target doesn’t answer. 1. So I did some googling and tried using -B 32 to lower the clock speed. No avail. I cleaned the contacts, I reseted connections, I changed from 5v to 3.3v, I did everything.. Eventually I used the -F command to force it to write the hex. Which it did, and then failed to verify, and the driver ceased to function when tested in the light with battery. I thought it was the hex, so I flashed a known-good D4 hex to it, same results, flash but fail to verify. I got the second driver out, which I had not soldered to yet, and it gave the same exact initial error. I did not use the -F command on it. I went back and forth between the two drivers, I could not get either to work with any combination of settings. Then, suddenly, the second driver flashed the h03.hex with the stock settings for avrdude,I have no idea why. It verified fine. I have not checked to see if it is functional in a light. The first one still fails to flash. Now it is saying the device signature is wrong. And indeed, the signature does change every time. This leads me to think it’s a connection problem, but I’ve flashed a half dozen lights with this already with zero issues. The only other thing I can think, is that I accidentally bridged the negative led terminal by the FET with the negative ring around the PCB. And when I put the light together the light came on full brightness and it took me a few seconds to figure it out. Could this have damaged the MCU? I cleared the bridge, and the stock loaded Narsilm ran fine, ramping and turbo and everything else, so it seemed to me that the MCU was fine. Could something else have burned? I can try soldering on a new MCU, but I will wait for guidance. Also, if it’s a damaged MCU, then why did the untouched driver also fail to flash at first?? Makes no sense. Sorry this is so long, I’ve tried helping myself here but I’m getting over my head. Any suggestions guys? Edit: I’m using the hex files you sent me. Alright so the MCU that managed to flash.. works perfectly in the light. So I tried flashing the bad one again and got the same results. So I checked my wiring, pulled apart my taped joint where the solder joints are, it’s all fine. Then I got the idea, if the MCU is bad, then I’ll flash the new one before soldering it in. I get the same error when trying to flash the bare chip. And then I realized I get the same error with nothing attached at all. So something is definitely screwy. I think it’s the flasher I have, good thing I bought two, when I get home on Tuesday I will try the backup flasher. Any other ideas beyond that? I am not sure how do I access the excel spreadsheet. Post #2 has a screenshot of the spreadsheet which is obviously a truncated part of the entire thing. It’s a .png file. An image. For future reference of anyone reading this and having the same problem as me: I don’t know why I couldn’t flash the bare MCUs when I tried the first time, but I can now. The problem was definitely just a dead MCU on that driver. I’m guessing I killed it when I bridged LED negative to ground. Use your multimeters folks. Everything is fine and well and running smoothly with my lights, sorry for clogging up this thread haha. 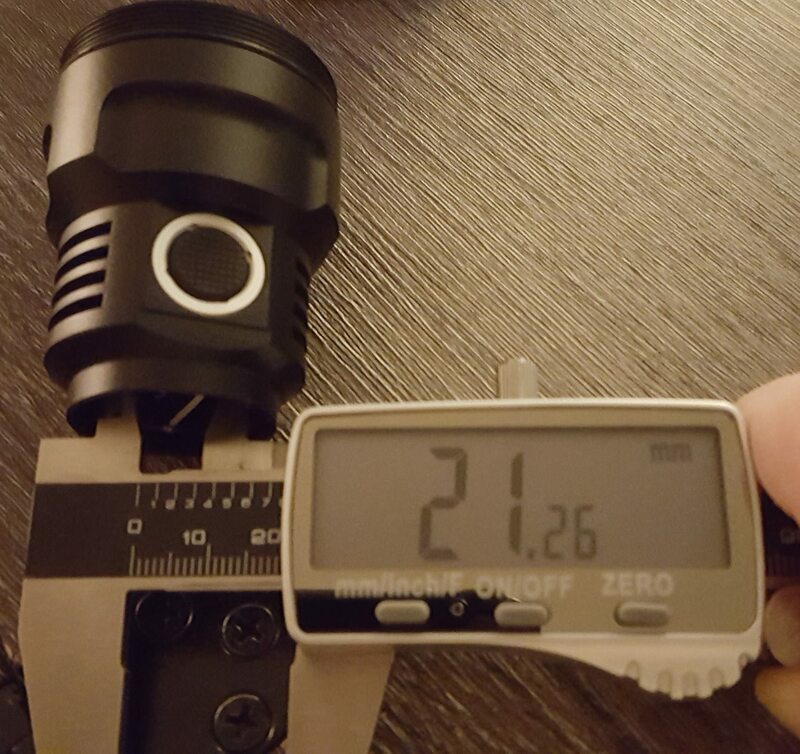 Finally my 2D Maglite can shine again ! Hello again. I have a question. I paired one of your drivers I built with the stock emitter from the H03, and separately, with a 219C, both work fine. But when I pair it with an LH351D, it also works fine, but it glows ever so faintly when it should be off. It doesn’t matter if it’s in lockout mode or just off, when the battery is connected, it glows extremely faintly. When the battery is disconnected, the light continues to glow for a couple seconds before going out. I’ve isolated the issue to the driver itself, it happens on both ones I built. I haven’t been able to test the ones you built, they are in lights that I gave to friends out of town. I took the drivers out of the light, disconnected all wires but the LED wires. I’ve tried it with several different LEDs of different types, 219C, XML2, and the LH351D. The light is so faint, I’m sure the standby time is still extremely long, but I can’t imagine this is normal? What could be wrong that’s causing this? What is special about the LH351D that the other emitters aren’t glowing? As always thanks for all the help. But when I pair it with an LH351D, it also works fine, but it glows ever so faintly when it should be off. Ah, good to hear that I'm not the only one. I messaged Lexel about that and he gave me the advice of cleaning the driver. Sadly that didn't work. What's pretty clear is, that there is some leakage current somewhere in the path. And considering how the LED is connected, it needs to be somewhere in the negative path as the positive is directly connected. Furthermore, I tried running the driver outside the host with the LED still connected to rule out any leakage current through the MCPCB or the host itself. In that case, the LED still has a dim glow, so I would rule out the MCPCB and Host. 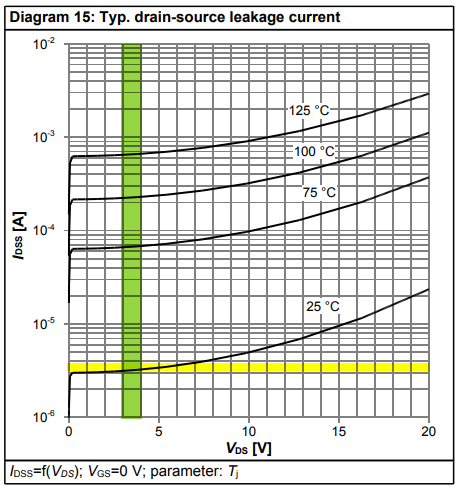 The MOSFET should be a BSC009NE2LS5I which has a diagram for drain-source leakage current in it. That's not much, but maybe that's enough for the LED to light up. Maybe if I have too much time, I will desolder the FET and see if the AMC7135s also have a leakage current. Another option would be someone with a low value current source who could test at which level the LH351D start a dim glow.